On April 4, 1968, a single bullet fired in Memphis, Tennessee, changed the world. An assassin fatally shot Rev. Martin Luther King Jr. He would be 90 this year if he lived. The civil rights leader carried the banner for the causes of social justice — organizing protests, leading marches and making powerful speeches exposing the scourges of segregation, poverty and racism. The legacy he left behind is long and storied. 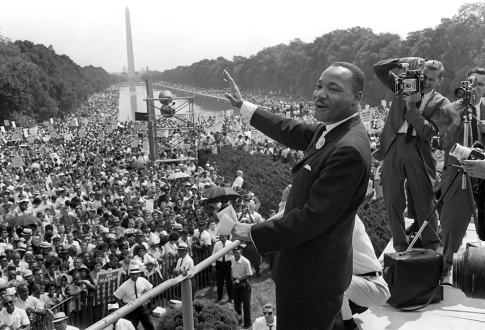 Half a century after King's assassination, we take a look at historical photographs highlighting the life of Dr. Martin Luther King Jr. and the civil rights movement.